Tommy "Karate" Pitera was not like other men in the mob. Sure he was a made man for the Bonanno crime family. Sure he dealt drugs, kept women, and flaunted his money. Sure he killed people. But there was something different about him, something unhinged. There were lots of guys in the Five Families who killed people, lots of guys who did ghastly things, but most if not all of those killers were afraid of man they called "Karate." There were stories, rumors really, that floated around about Pitera, and if even half the rumors were true, that was enough to make people stay away from him. The rumors talked about his squeaky high voice--Mickey Mouse with a Brooklyn accent--that didn′t fit his large, lanky frame. They talked about the strange ways that he killed people and the things he did when he was angry. The rumors discussed how people had a way of disappearing when Pitera was around, but instead of turning up dead, they didn′t turn up at all. The rumors spoke of a secret cemetery he had somewhere in the five boroughs, a place where the bodies of his victims would remain forever nameless. Jim Hunt came from a long line of law enforcement. Originally a member of the NYPD, he joined the DEA and never looked back. Like his father and grandfather before him, fighting crime was in his blood, and during his storied career at the DEA he′d bagged his share of bad guys. But nothing like what he encountered when he first started investigating Tommy "Karate" Pitera. What started as a routine look into a cocaine and heroin ring in Bensonhurst, Brooklyn during the 1980s grew exponentially, as Hunt uncovered the layers of death that surrounded Pitera. Entering into the shadowy world of wire taps, stakeouts, and informants, Hunt managed to turn the handful of Pitera′s closest confidants against him in his pursuit. By the end, Hunt estimated that Pitera might have killed as many as sixty people. 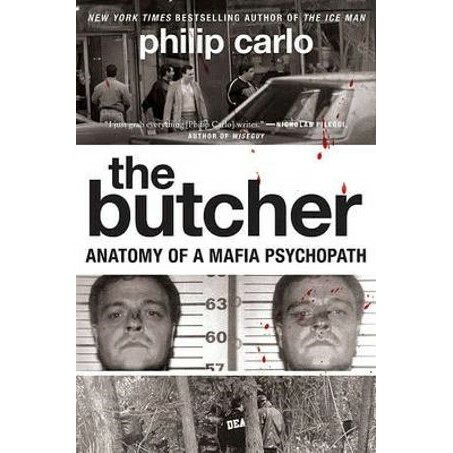 Offering the first ever detailed look at the life and crimes of Pitera, Philip Carlo explores the man behind some of the most horrific murders in the mob′s history and the multi-year DEA investigation that brought him down. Getting inside the mind of both killer and detective, Carlo details the delicate game of cat and mouse that resulted in the conviction of a mafia killer unlike any other. A dual tale of murder, drugs, money, and ultimately justice, Gravesend gives us Carlo′s most frightening portrayal yet of the depraved depths of the psychopath′s mind.